Does Gum Disease Affect Your General Health? Gum disease affects the gums and underlying jawbone that support the teeth and keep them in place. In the early stages, symptoms include red, tender, puffy or bleeding gums. As it becomes more advanced, you might also notice severe bleeding, loose teeth, chronic bad breath or pus under the gumline. How Can You Improve Your Gum Health? Gum disease is incredibly common, and the first step towards gum health is scheduling a checkup to have your gums examined. If you simply have gingivitis or your gums are already healthy, regular checkups and good oral hygiene will maintain them. 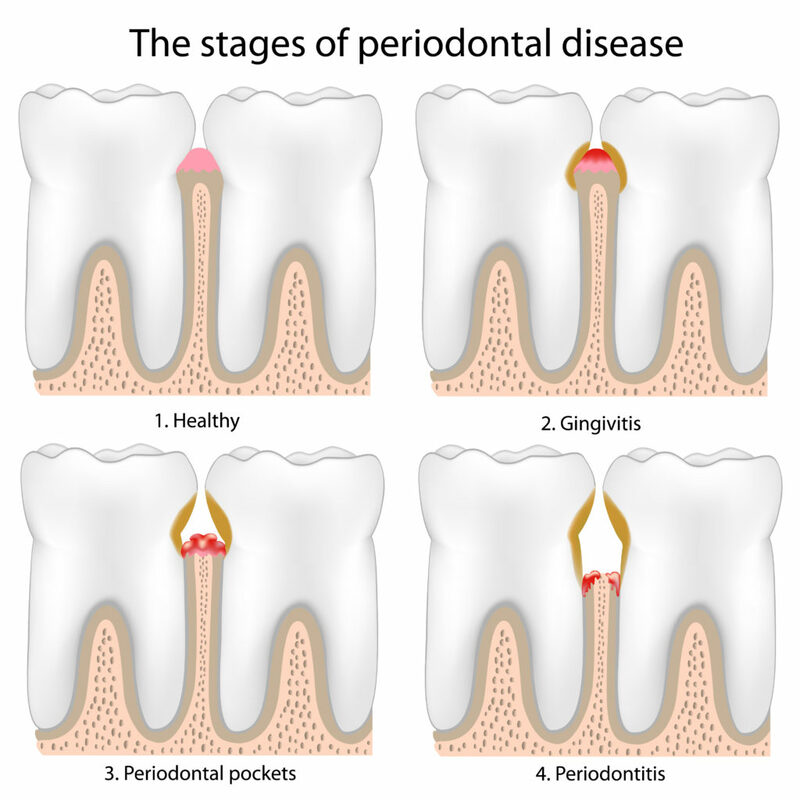 More advanced stages of gum disease can’t be reversed or cured, but it can be managed to keep it from progressing. Gum therapy – A procedure called scaling and root planing (or a “deep cleaning”) is usually done first to thoroughly remove plaque and tartar from under the gumline. A topical antibiotic can also be placed under the gums to kill the bacteria that contribute to this condition. For more advanced cases, surgical options are also available. Improve your oral hygiene – Even with regular cleanings, what you do at home every day has a big impact on your gum health. Brush at least twice each day and floss once. You might also consider tools like an electric toothbrush and oral irrigator to help you be more effective. Manage health conditions – Smoking, diabetes and heart disease are all risk factors for gum disease, so it’s a good idea to work with your medical doctor to help you quit smoking and manage these diseases. The consequences of untreated gum disease are serious, but by taking the necessary steps to prevent or manage it, they don’t have to be! Dr. Thomas J. Meschke and Dr. Aaron B. Swingdorf are family dentists who want to help all patients lead long, healthy lives. With a dedication to providing high-quality, comprehensive dental care, they always educate patients about the importance of gum health. If you have any other questions about gum disease in Chaska, they can be reached via their website or at (952) 448-4151.